Now one of the longest running live music events on Miami Beach, The Betsy’s Live Music Series has been featuring Miami's top jazz musicians and vocalists for more than 8 years. Year-round, rain or shine - you can count on the best jazz in a relaxed and enlightened environment. No cover, no drink minimum. 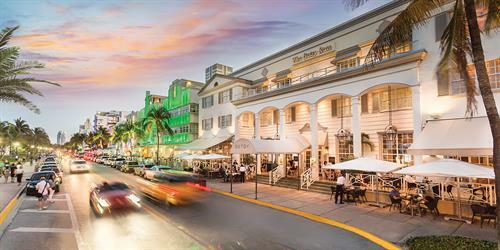 Come by for music and culture in the heart of South Beach. Stay for dinner at LT Steak and Seafood -reservations at 305-673-0044. No cover, no drink minimum.